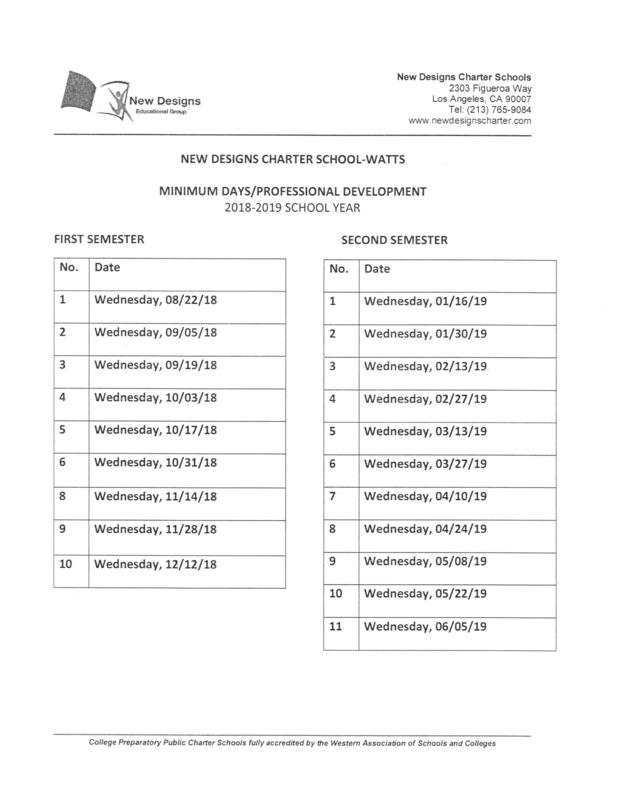 Students » Student Dress Code NDCS - Watts Uniform Policy. Because student attire affects the learning environment, our dress code policy aims to minimize distractions in order to focus students on academics rather than appearance. NDCS-Watts relies upon the good judgment of both students and families with respect to appearance and cleanliness. The following uniform requirements apply to all NDCS-Watts students.  Sweaters, sweatshirts, and jackets may have zippers or not, but they must be solid black, green, tan, gray or white in color without logos. Students must wear school-approved polo Black or Green shirts underneath approved OUTERWEAR. If OUTERWEAR includes a hoodie, this must be kept down off head at all times (NO EXCEPTIONS). If hoodie becomes an issue on campus with teachers and staff having to manage the expectation then hoodies will become a prohibited item. 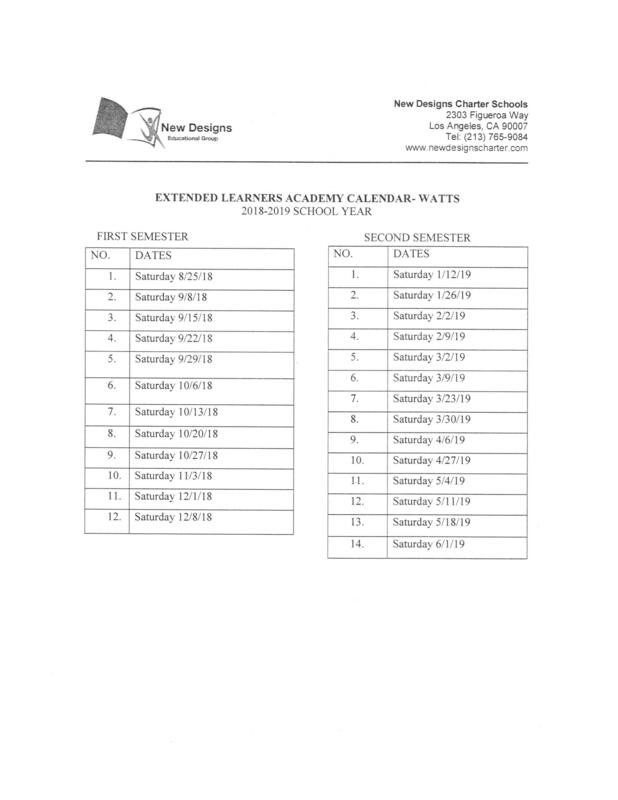 College logos and other NDCS-WATTS school-related logos are permitted on specific free dress days.  Pants must be hemmed or cuffed not stapled, tacked to the back of the shoe and may not be tied at the front of the shoe with shoelace, rubber bands, etc.  Shoes must be flat, closed-toed and appropriate for physical activity.  Any attire that may be a distraction will be confiscated. Distracting attire includes but is not limited to accessories, such as extra clothing pieces and excessive and/or large pieces of jewelry.  Headphones are not to be worn on campus except for in class with explicit permission from the classroom teacher. The physical education uniform is only to be worn during the P.E. class. Students will be required to change back into the school uniform when the class ends each day. Parents will be contacted immediately when their student is not adhering to the uniform policy described above. If a student is out of uniform, parents will be asked to bring the student a change of clothes before the student may return to class. Students are expected to be responsible for coming to school in uniform and to check their own attire. Students who are not in compliance with the uniform policy will be dealt with on an individual basis with the Dean of Students. All students whose attire is in violation of Dress Code policy may face disciplinary action and are not permitted to return to class until they have changed. 1. All students in free dress must display their dated free dress wristband for the entire school day. 2. Male and female students are permitted to wear casual pants, including clean and un-torn jeans. 3. Male and female students are permitted to wear T-shirts, sweatshirts or other casual shirts/blouses provided they are modest and do not make reference to drugs, alcoholic beverages, taverns, offensive activities or hard rock concerts, etc. 4. Bare midriffs and clothing that is sexually suggestive or fails to conceal undergarments (such as bras and bra straps), back, abdomen, and cleavage will not be allowed. This includes, but is not limited to, halter tops, short shorts/skirts, bathing suits, tank tops, low-cut tops/dresses, or muscle shirts. 5. Gang attire of any kind will not be allowed. This includes gang-related clothing, solid colors of red or blue clothing or accessories, including but not limited to bandanas, or other symbols, emblems, or insignia are prohibited. Gang-related web belts with or without punched out metal buckles are prohibited. Dangerous clothing accessories are prohibited (i.e., spiked jewelry, studded collars, studded belts). 6. Female students may wear casual slacks, shorts, or skirts that fall no more than three inches above the knee with appropriate blouses. 7. Sandals are not permitted for either male or female students. 8. Neither male nor female students are permitted to wear caps or hats. Hats are not to be worn during school time.  Hats and head covering must be removed in all buildings/classrooms. Bandanas, scarves, skull/wave caps, and ski masks are not permitted on campus.  Sports caps are not allowed anywhere on campus.  Hairnets, shower caps, hair rags, or other grooming items are not allowed. Students may wear head coverings required in observance of their religion. 1st Offense: Confiscation of hat by staff member. Return of hat to Parent at the end of their school day (depending on when the hat was confiscated). 2nd Offense: Confiscation of hat and mandatory parent conference regarding NDCS-Watts hat policy and 2 hours of community service is required prior to parent conference. 3rd Offense: Progressive discipline plan – may include detention and/or suspension.